Though the newly expanded Hemmings Classic Car now includes foreign cars in its usual monthly lineup of driveReports, Driveable Dreams, and other features, we are sometimes left with more information than we can share in the few pages we dedicate to a story. Such is the case with one of the first Italian classics we are featuring in the March 2019 HCC. 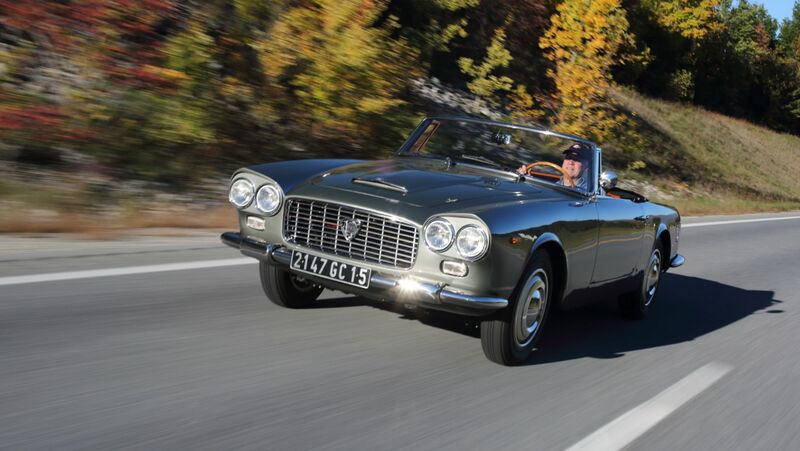 Don Schwarzkopf’s 1967 Lancia Flaminia 3C 2.8 convertible represents all that was right about Lancia and its exquisitely engineered, nearly bespoke cars before Fiat purchased the cash-strapped company just a couple of years later. A touring car very much in the sense that it encourages long drives, the Touring-bodied, open-top Lancia offers its own unique driving experience, something that Don shared with us. We’ve been doing this classic car thing for a while here at Hemmings, but every one of us still gets a thrill when handed the keys to a classic car. 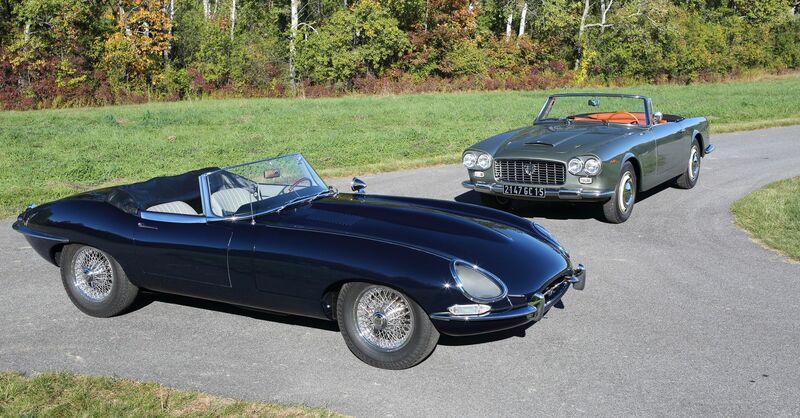 Don’s offer came with a twist, a bonus if you will, for he also owns a 1967 Jaguar E-type roadster. Don gave us the chance to drive his rare Lancia and compare it to the more common E-type, an experience perhaps some readers can related to. 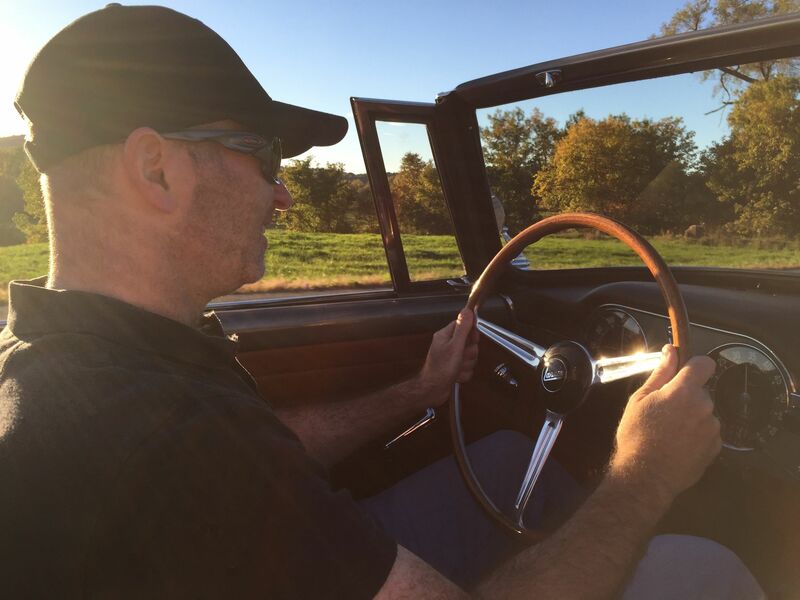 For the better part of a fall afternoon, on the somewhat twisty two-lane blacktop around Hemmings’ Bennington, Vermont, headquarters–into New York and back again into Vermont–we enjoyed both cars, getting a longer-than-typical driving experience in both. I’m here to share with you how two contemporary two-seat, open-top European sports cars can deliver two completely different experiences. 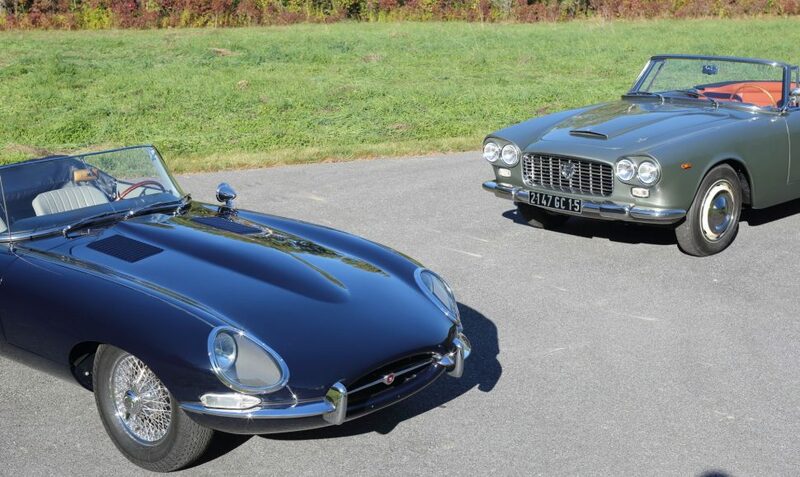 Both cars when we drove them were in just about perfect, as-new condition–perhaps better, considering the extremely high-quality restoration each had been treated to. First off, the basic specs: The 3,086-pound Flaminia is powered by a 2.8-liter version of Lancia’s vaunted OHV V-6, which has its origins as the first production engine with that layout. Making 150 horsepower at 5,400 rpm and 165 lb-ft of torque at 3,500 rpm, it powers the rear wheels via a rear-mounted four-speed transaxle and rides on a 99-inch wheelbase. The 2,756-pound Jaguar registers as the lighter of the bunch and its 4.2-liter, DOHC inline-six makes significantly more power, putting out 265 hp at the same 5,400 rpm as the Lancia and an equally stronger 283 lb-ft of torque. On the way out from Bennington, I take the wheel of the Lancia. The immediate impression is one of space–lots and lots of space, despite the car’s relative overall smallness. 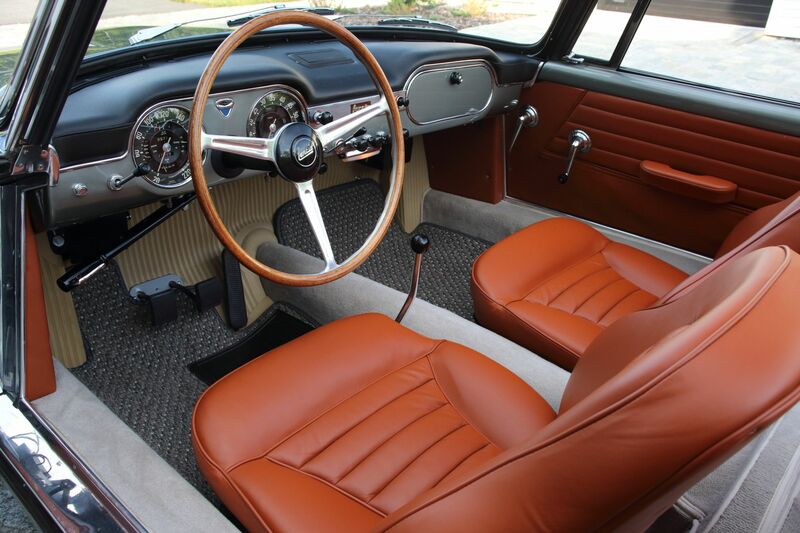 There is amble elbow room, and, with the almost flat floor (no transmission hump with the rear transaxle, only a space needed for the narrow prop shaft in the middle of the floor) and the wheelwells farther forward, plenty of foot room as well, unlike plenty of other Italian cars. The pedals themselves are somewhat unusual, with the clutch and brake noticeably higher and farther from the floor than the gas pedal. Having been warned by Don that the Lancia needs to be revved, and with the car already warm, I don’t need to be told twice. Though the car seems to loaf below 3,000 or even 3,500 rpm, after that point, the Lancia’s 2.8-liter V-6 really comes alive, making great sounds along the way. I stay into the throttle until just over 5,000 rpm, not hesitant that the engine cannot handle more revs, but very cognizant of the fact that this is not my car. Though the power band is relatively narrow, from that 3,500 point to just over 5,000 rpm, it is thoroughly enjoyable to drive the car because the gearing seems just right, as does the shifter–once you get used to it. Though the tall shifter has a fair bit of travel from fore to aft, its side-to-side movement is minimal. 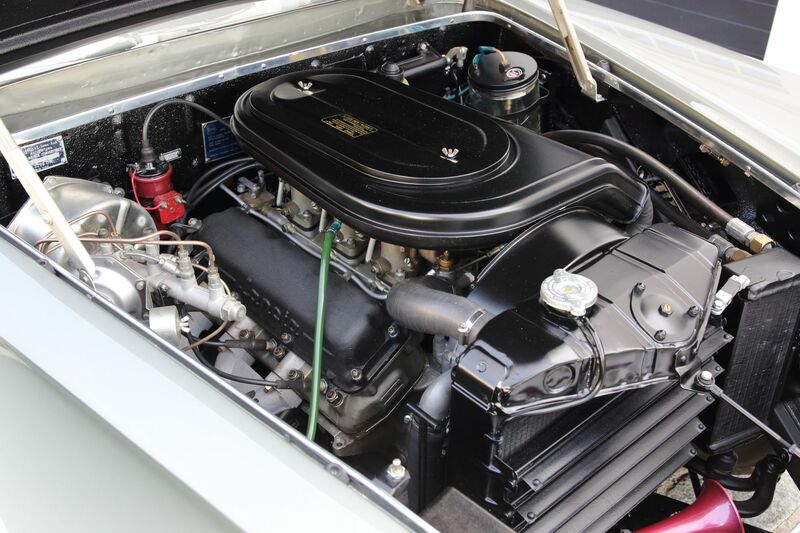 Quickly getting a handle on the one/three and two/four shifts, I soon find it enjoyable, with easy clutch action making rev-matching on downshifts on the Flaminia a quickly learned undertaking. Fourth gear at 3,000 rpm equates to an indicated 72 mph on the speedometer. The wood-rimmed steering wheel in my hands starts to explode with colors matching the New England autumn as the sun gets softer in the sky. The big wheel makes it easier to steer the Lancia, which, shod with early-type radial tires (Lancia not coincidentally being the first manufacturer to specify radials as standard equipment on its earlier Aurelia models), handles rather smartly, with a bit of body lean and no squishiness at all from the tires. There is some vagueness on center, and the seats are somewhat flat for any real hard cornering, but never once do I think, “I wonder what’s going to happen at the end of this turn?” The brakes inspire as much confidence as the rest of the car, easily peeling off speed in a controlled and progressive manner. A vibration through the steering column–one that did not feel like an out-of-balance tire–was about the only complaint I had in the steering and handling department. With the afternoon sun warming us against a fall chill, the New England trees enticing us with their color, and sitting in a very nicely appointed leather cockpit, the experience is “pleasant” more than sporting, a word I am stealing from Don in his description of driving the Italian convertible. And it is pleasant, most definitely. Unlike many modern convertibles built like a bunker to protect the occupants (and probably rightly so given the outlandish performance of some modern open-top sports cars), the airy, surprisingly spacious Lancia feels like a truly open car. After an hour or so, I swapped keys with Don, making the return trip in his 1967 E-type, a car as equally pristine as his Lancia. The Jag’s first impression is quite a bit different than the Flaminia. With its high sills, big transmission tunnel, and narrow footwell, the Jaguar is a far snugger fit, and feels a bit more serious to go along with its more sporting intentions. Instead of looking down on the hood in the more open Lancia, the position in the Jaguar’s body is much lower, and I find myself having to look up and over that long sensuous bonnet, the rows of louvers staring back at me, to see the road ahead. It’s certainly not a bad view, and among the best in the business, with the fenders rolling in slightly to the hood, which is dominated by the bulge in the center, once again exhibiting the British car’s high-performance attitude. Driving the car requires a bit of an adjustment, starting with the limited foot room for the driver. Even with my rather skinny feet–and matching narrow footwear, I find it far easier to drive without my shoes, though I have to pay attention to the slippery, steel throttle. Fortunately, the clutch and brake pedals are closer in height to the gas pedal in the E-type than they are in the Lancia. The most immediately recognizable difference in driving the cars is the abundance of torque available from the big XK engine. At 3,000 rpm in the Jaguar, certainly in second and third gears, a punch of the throttle is all that is needed to boost my speed. And the XK engine still likes to rev, so winding it out from the mid-range on up gives the car a more flexible rev range to work with. Road tests from back in the day back up the obvious: The lighter, more powerful Jaguar regularly did the 0-60-mph sprint in the 7-second range, while the Lancia took a little over 10 seconds. Shifting the Jaguar, with its linkage pretty much right on top of the transmission, provides shorter throws, which are somewhat wider laterally compared to the Flaminia’s. The steering shows no signs of slop or vagueness, again exhibiting more of that sportiness that made Jaguar so famous for so many years. The handling of the 50-year-old E-type proves pretty amazing, really, with astonishing, analog feedback, the kind of thing American car companies spent the better part of the Fifties and Sixties completely exorcising from virtually all cars produced here. Another long drive back into town and it’s clear that despite the similar nature and identical age of these cars, they are two different animals. The aptly named Jaguar is, by far, the more sporting beast of the pair, a car that begs to being driven briskly, a car that provides great satisfaction at just such a task. The Jaguar’s immense capabilities–it was a legit 150-mph supercar when not many cars could hit triple-digit speeds–mean it also requires a more focused approach to driving when behind the wheel. With its toggle switches and snug driver area, it also gives you the feeling of being in a fighter jet cockpit. 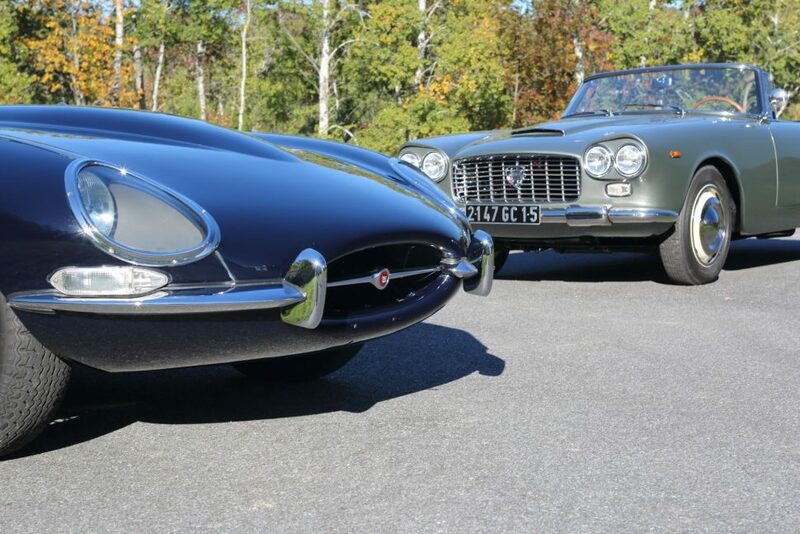 Even on such a beautiful fall New England day, the Jaguar is the scenery. The Lancia, though hardly docile, is the more laid back of the two, a wonderful touring machine that begs and beckons as you drive it, “Oh, please can we do four or five more states before the day is out? I want to keep going!” That’s exactly the pleasant groove that Don speaks of, too. It’s a car that hits a different sort of satisfaction in the soul than does the Jaguar, not less or more, just different. At the end of the long afternoon, with the sun all but down by the time we return, I find myself with a deep longing to do it all over again, in either car–or both. For the time, the place, and the machines we ran with, the road was the destination, and a rather fine place to spend such an afternoon.